"You knew exactly what we were looking for (and somewhat unable to express properly!)" How do you compare—to your competitors, to industry standards, to your own potential? Launch Team’s breadth of experience working with high tech, manufacturing and optics companies has put us in a unique position to offer a fresh perspective on your marketing efforts. To begin your assessment, our full Launch Team comes together to review your current marketing activities, industry benchmarks and your data. We provide you with baseline scores for each aspect of your marketing efforts, benchmarks to strive for and a list of specific recommendations. A Launch Team marketing assessment takes into account your corporate goals, with a focused look at lead generation and lead nurture activities necessary to optimize your marketing process and available resources. Get started today! 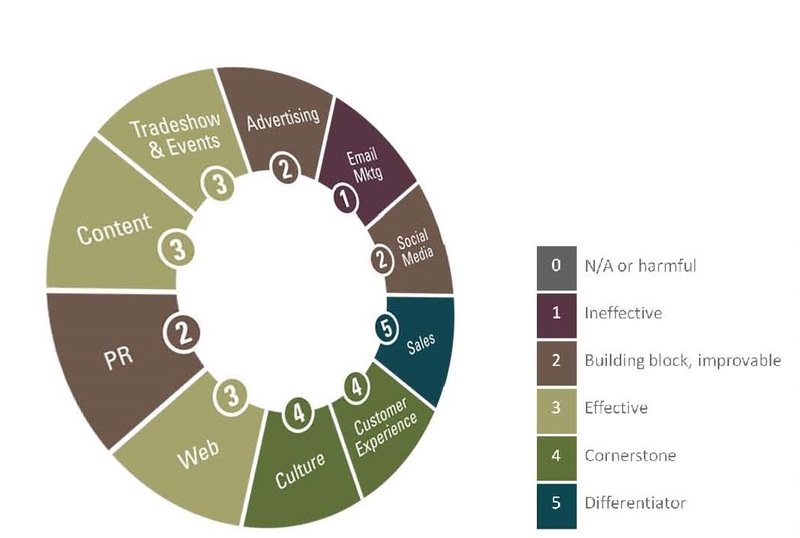 This Brand Touchpoints wheel is part of how we score and assess your marketing strategy. Click to view larger. Our free marketing assessment is a great place to start, providing analysis of your digital marketing efforts. Our full marketing assessment covers all of your brand touchpoints, the many ways you reach your leads and customers.